We at Western Michigan Mensa welcome you to our website. Feel free to browse a bit. This site will always be ‘Under Construction’ as times and the needs of our members are constantly changing. Feel free to make suggestions. Input accompanied by suggested solutions are responded to with a significantly increased sense of urgency. As a Local Group in the Great Lakes & Ohio Valley Region of American Mensa, Ltd, which is a part of International Mensa, Ltd, Western Michigan Mensa is dedicated to providing support for all within or traveling through our neck of the woods. If interested in joining, review the Join Mensa page as a good place to start. Also, visit http://www.usa.mensa.org/join_mensa/overview.php3 for more information. Again, Welcome - Leonard Dalenberg - Webmaster - contact me at: webmaster@pc-access.com for feedback and information on this site. These pages and all content Copyright 2013 by Western Michigan Mensa, all rights reserved. 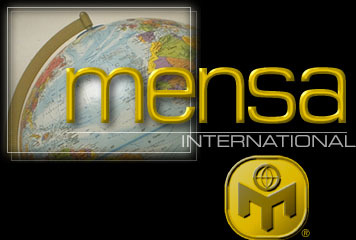 Mensa® and the Mensa logo (as depicted for example in U.S. TM Reg. No. 1,405,381) are registered in the U.S. Patent and Trademark Office by American Mensa, Ltd., and are registered in other countries by Mensa International Limited and/or affiliated national Mensa organizations.